(February 9, 2016 – Toronto, Canada) – Portfolio Entertainment is pleased to announce the acquisition of 7 Wonder’s live-action preschool series Do You Know?, originally commissioned by CBeebies in the U.K. Produced by U.K.-based independent production company 7 Wonder, Do You Know? (25 x 15’) is a fresh, high-energy series that takes younger viewers on a journey to explore how everyday things around them work and are made. Featuring YouTube sensation and technology vlogger, Maddie Moate, as she makes the leap from the Internet to TV, the series answers some of the world’s most quirky questions in a child friendly way, while parents also pick up some intriguing watercooler facts from how ice cream cones made to what goes on in a dishwasher when you close the door. Using the latest camera technology and clever graphics to explain the technical process in simple terms, the series reveals fascinating details and gives children a unique window into the world around us. “We are thrilled to add Do You Know? to our roster. Maddie Moate has an incredible online following and this series is non-stop fun,” said Joy Rosen, CEO and Co-Founder, Portfolio Entertainment. “Do You Know? is such a unique and exciting series. It explores the world around us in such fascinating detail, which will appeal to children all over the world. 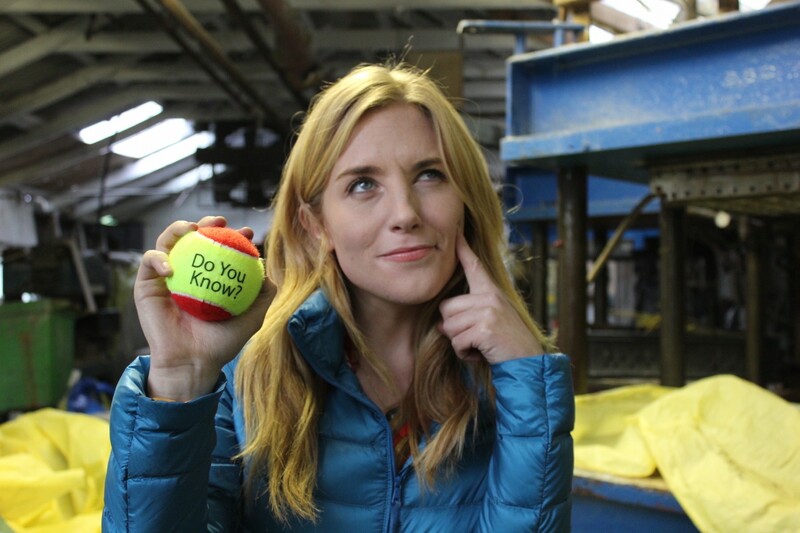 Portfolio Entertainment is known for representing top quality series, so we are delighted that they will be introducing Do You Know? to international broadcasters,” said Liza Abbott, CEO and co-founder of 7 Wonder. Launched in the Spring of 2014, 7 Wonder is committed to collaborating with the best talent, on and off-screen, to deliver quality, bespoke and beautifully executed content across all non-scripted genres. It is a joint venture between Seven Network in Australia, Alexandra Fraser, Liza Abbott and Simon Ellse.